of you who have marked their calendars for these occasions i would like to introduce to you an online website that has all you need in terms of dresses, Rosa Novias is an online store i recently discovered ,the site has a huge collection of gorgeous ,elegant dresses for all occasions. The wedding dresses on the store site comes in almost any design you can think of ,from lace to beaded pieces, there is also section on the site that caters for kids and bride's maids,so you can shop for all your wedding apparels in one location . Below are some of the elegant wedding party dresses i found on the site. 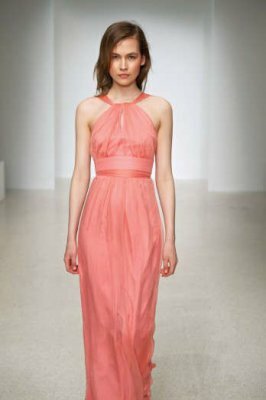 While browsing through the online store i also found a few evening dresses like the ones below,the site is offering some sweet deals on some items ,discounts as high as 80% on a few dresses,new members who register to shop on the site also get a coupon .There is also a measuring guide to help shoppers decide how to get the right fit for every time including your veil,so you don't have to worry about having it customised. Shopping online has never been so easy ,every item on the site has it's own product description like the material of the fabric,length , and cut so you can shop with confidence. You can also find a list of places where they ship to on the site. What Dresses are on your wish list ?